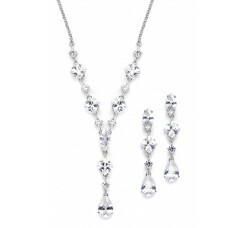 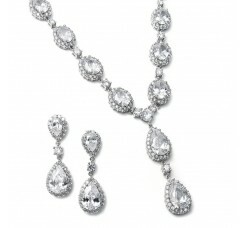 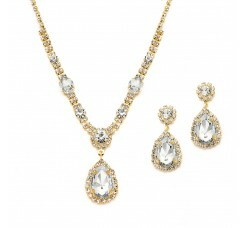 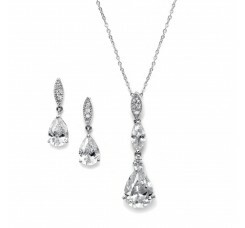 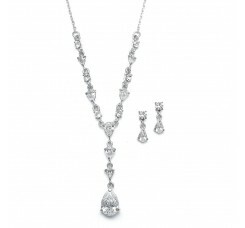 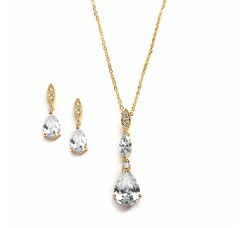 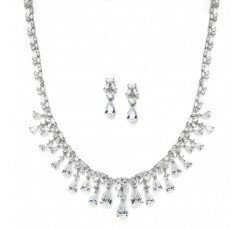 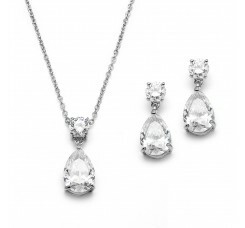 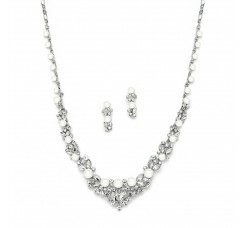 This breathtaking bridal necklace and earrings set is crafted of brilliant cubic zirconia stones in .. 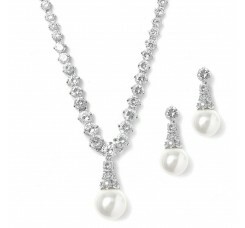 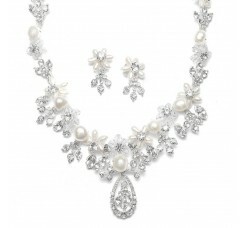 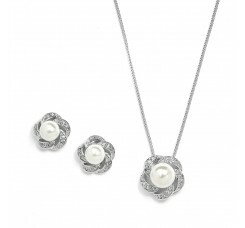 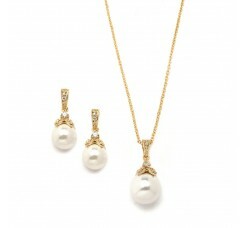 This luxurious bridal necklace and earrings set by Mariell features bold white pearls and dazzling C.. 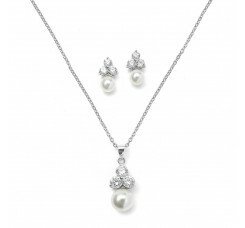 This graceful necklace and earring set features genuine Cubic Zirconia pears suspended from a delica..
Mariell's bridal or bridesmaid necklace set features white pearls accented with round CZ trios. 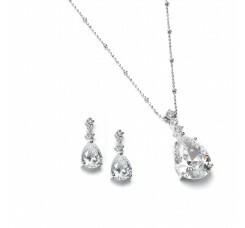 This..
Mariell's bridal or bridesmaid wedding necklace set features brilliant CZ pear shaped drops plated i..
Mariell's bridal or bridesmaid necklace and earrings set features a graceful cluster of Austrian cry..
Made with a high quality AAA cubic zirconia, our bridal teardrop necklace set is a Mariell-exclusive.. 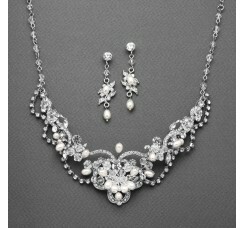 Enhance wedding, prom, homecoming or bridesmaids gowns with this dainty necklace and earrings set by..
Mariell's delicate CZ pear shape necklace and earrings set features dainty drop earrings and a styli..
Mariell's glamorous necklace and earrings set will give your jewelry choice all the style of couture..
Mariell's shimmering Soft Cream Freshwater Pearl and Crystal Wedding Necklace set is a great additio..
Mariell's enchanting freshwater pearl and crystal bridal necklace and earrings set will bring exotic..
A new design joins Mariell's top selling trademark Cubic Zirconia bridal collection which offers Hol..
Mariell's exquisite Wedding Necklace and Earrings set features a mix of pears, rounds, marquise and .. 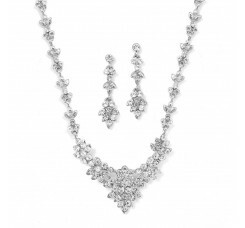 If you want vintage style with an edge of modern glamour, look no further than this dramatic necklac..
Mariell's classic gold bridal or bridesmaid necklace and earrings set has vintage pave CZ petals and.. 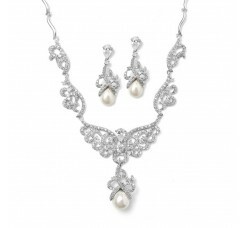 This elegant designer-inspired Soft Cream Pearl and Cubic Zirconia Wedding Necklace and Earrings set..
Mariell's fabulous bridal necklace and earrings set with a soft creme pearl features a magnificent j..